A sleek and elegant model designed for the sophisticated watch enthusiast who believes that ‘money talks but wealth whispers’. 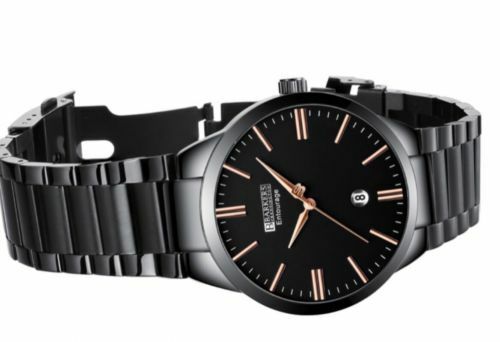 There are two variations of this model with either silver or rose gold numerals plus a calendar. 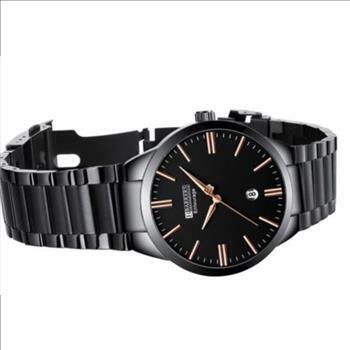 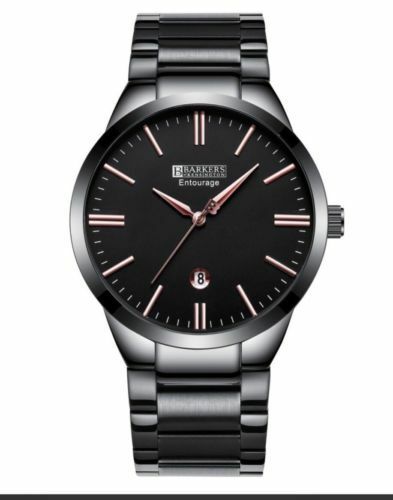 A fashionable two-tone black bracelet enhances this most striking dress watch. Barkers of Kensington, based in London under a name steeped in 150 years of British high-end retail history, brings traditional British craftsmanship & functionality to the forefront of today’s luxury fashion world. 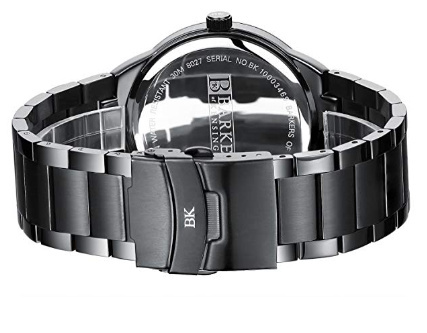 With over 40 years of in-house design and watchmaking experience, Barkers of Kensington has become synonymous with quintessential British class and style.